[By Nick] Looking over the Ben & Jerry’s flavors the other day at the store I had a revelation. I’ve never had their Vanilla Heath Bar Crunch. I’ve mentioned my love for heath bars on multiple occasions so you’d think this would’ve been a flavor I tried ages ago. Maybe because it’s such a simple flavor I’ve just overlooked it. Whatever the case may be, I checked through our archive to see if Dubba covered it already. Seeing as he didn’t, I thought it was a prime opportunity to try another Ben & Jerry’s flavor while also working to review all of the Ben & Jerry’s flavors on the market. This flavor is a basic as Ben & Jerry’s flavors come. It’s just their vanilla ice cream with heath bars thrown into the mix. That’s not necessarily a bad thing seeing as I do enjoy their Coffee Heath Bar Crunch (Why haven’t I reviewed this yet?) and it’s essentially the same thing just a change in base flavors. 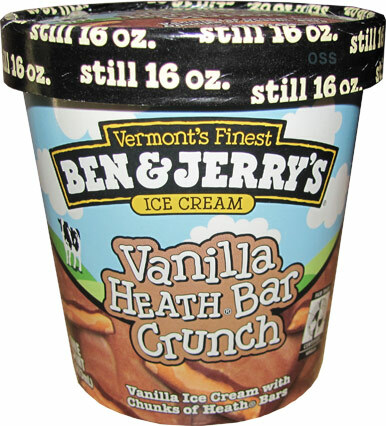 I do remember reading somewhere that Jerry would throw cases of Heath bars off of a ladder to turn them into chunks. Yeah, I’m running out of things to say so let’s just move onto the actual product. With the lid off, you can see this one is loaded with heath bar pieces. Trying to scoop this one is a lot more difficult than normal. The vanilla base feels a bit denser which would be is a positive in my book. Tastewise, it's exactly what you have come to expect from Ben & Jerry’s. While I think they should just ditch their normal vanilla in favor of their vanilla bean you find in Late Night Snack, the base is still respectable and pleasant. You won’t have to worry about tasting the base alone because there are bits and pieces of heath bars in every spoonful. Seeing that I love the buttery deliciousness that are heath bars, I really enjoy their presence. 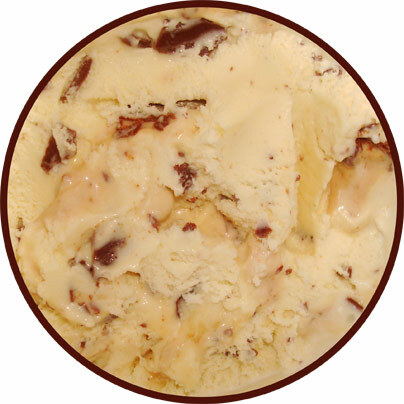 They add a needed crunch and help to enhance the flavor of the vanilla base. Sure, I could always crush up my own toffee bars and add it to my own ice cream but I’m lazy. 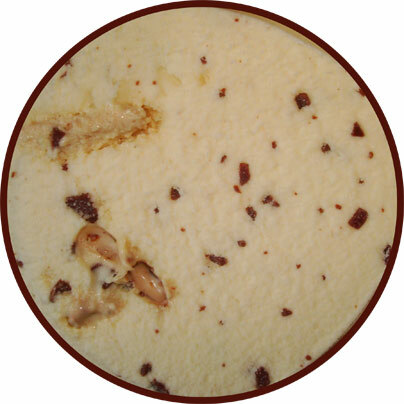 That and there are these little pools of what I’m assuming is liquidfied toffee that make this flavor worth buying. If someone was to replicate these puddles and sell it, I’d buy enough to bathe in. You think I’m kidding? Liquid toffee would possibly make my life complete. Okay, well I just went off on a tangent so let’s wrap this up. This is not a creative flavor by any means but that doesn’t matter when it is executed so well. I’m now kicking myself for overlooking this one for so long. I guess it’s true that you should never judge a book by its cover. Yes, Heath is delicious. Sometimes it's the most simple things...like butter...and sugar. Glad to hear its packed in there! This is my go-to pint when I want a vanilla flavor. Some flavors have too many mix-ins that it becomes overkill, such as Chubby Hubby. This is THE perfect Heath Bar blizzard in my opinion. The pieces are massive and the amazing vanilla flavor (which is way better than DQ's) compliments it so well that it's extremely satisfying. For these reasons, this flavor will always be in my top 3-5 favorite Ben and Jerry's flavors. It's definitely an underdog flavor that many people don't talk enough about (and buy enough for that matter). I hope it never gets buried. @Stride: Top 5? That's quite a bold statement. I actually was bored recently and made my own ranking list and it's number 16 out of 38 (yeah I need to try more flavors) Still definitely a respectable flavor and have no worries, I doubt this one will ever see the graveyard. It's one of their original flavors and even has a coffee sibling which just shows it's success even if it's not talked about all that much. @Nick, um you better post that list if you are going to bring it up like that. @Anon: Here you go. Just keep in mind this isn't all the flavors I've tried. It's made up of the ones I could truly remember their flavor profile and how much I enjoyed them. There's a bunch not on the list I need to rescoop but with trying to keep getting new material for the blog, they go on the back burner. Curious, do you have a top 10ish overall? @Anon: What A Cluster is practically non-existent in my area and every time I go to Target they're all out of PB World. I still have faith that Candy Bar Pie will be showing up in pints and since the closest scoop shop is about an hour away I'll wait until that's confirmed. While I am intrigued by c7lb, pure coconut ice cream still scares me. Also, I have a bunch of people on the lookout for pumpkin cheesecake for me so hopefully I'll be trying that one soon. Doing a top 10 list would be way too difficult. Not only have I had way too many different flavors, it would mainly depend what I was in the mood for at the specific time. If I had to choose one flavor for the rest of my life it would probably be Jeni's Dark Chocolate. It was one of the best overall ice cream I have ever had and I could always customize it to what I want since it's base only.